A birthday tweet by singer Loyiso Bala to his brother has been condemned as an example of the often seemingly subtle but devastating homophobia of religious intolerance. 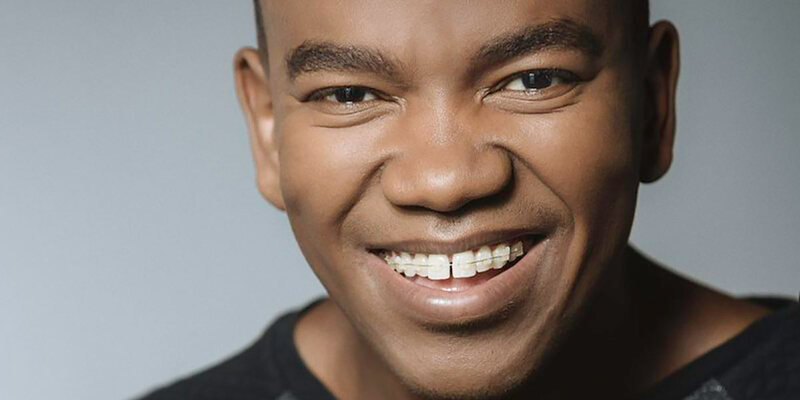 On Sunday, Loyiso wished his younger brother Phelo – who is dating TV and social media star Moshe Ndiki – happy birthday with a tweet that he perhaps intended to be heartwarming but instead revealed a hard truth. “Blessed to have spent some quality time with my brother @PheloBala the past few weeks. As I said to him, ‘I’m in no position to judge u but to love you and to always point you to Christ. Your relationship with him will define your life’s purpose,‘” Loyiso tweeted. While we don’t have absolute confirmation that he was referring to Phelo’s sexuality, it’s something that’s been widely assumed on social media, and that Loyiso has not corrected. Many Christians believe that because they themselves do not directly condemn gay people but rather do so passively-aggressively though their God, this absolves them of responsibility. It’s a “get out of jail free card” way of expressing homophobia under the protection of religious beliefs. It’s being a bigot but not taking responsibility for it by stating that it is something for ‘God to judge’. It’s the coward’s way of being a homophobe. It’s clear that Loyiso, like many other ‘good Christians’, doesn’t get it. After the outrage about the tweet went viral and started trending, he continued to defend his comment and even expressed surprise that others were offended by it. He still failed to deny that it was about Phelo’s sexuality. This conditional and ambiguous ‘acceptance’ that many of us face daily from our friends, family and society is a deeply hurtful form of judgment. Sadly, we are more often than not willing to accept this kind of ‘tolerance’ from our loved ones because it seems better than outright rejection. If he was indeed referring to Phelo’s sexuality, Loyiso should be deeply ashamed for wishing his brother a happy birthday while simultaneously telling him that he will be judged by God because of who he loves. I would hope that my brother would instead speak out against a belief system that sees his sibling as a sinner and a lesser person simply for being gay. Happy birthday Phelo – may you continue to love and live without judgment. – You deem it necessary to tell the world how you feel about your brother’s sexual preferences. His response to his very Christian brother is perfect, he is the real and loving brother here. Funny how it is that we do not find it necessary to judge the cisgender homophobes. We are quite happy to let you just be you. Please let us just be. This world and its amical collade media think everything is biased or proved by their standards… I don’t see any blasphemy nor bad tweet/instagram by Loyiso to his fellow brother. One who knows God and living His purpose while on earth it’s meant to such individual to share the well good news to his/her family/fellow… Pointing them to Christ means as the role model of our conducts. World’s ignorance shoots back by expressing of “judgemental christian’s faith” this is wrong to assume that Loyiso is homophobe, what he did is his mendate as a good brother to show his example besides of the Bible which standard are we measuring life? I think there’s nothing so lacking of such vital knowledge our generation is deepen fall into immorality and things unspoken whether we like it or not… I don’t see anything wrong with Loyiso’s post.